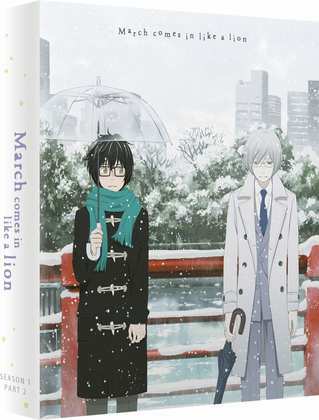 It’s all about continuations and sequels this week, beginning with March Comes in Like a Lion Season 1 Part 2. The show about shogi, depression, and isolation certainly delivered something different from the usual anime show with its first part, telling the tale of an antisocial young man with a tragic background, whose sole marketable skill is with the Japanese game shogi. The first half of season 1 introduced us to his world and the people around him, and developed the relationships between them. This second half may as well be a sequel series though, as it takes a different tack to the storytelling, instead focusing more on the games. Click on the review to see how much of a difference this makes. Next it was the turn of Yuru Yuri Season 2, which really does offer more of the same slice-of-life comedy as its first season. 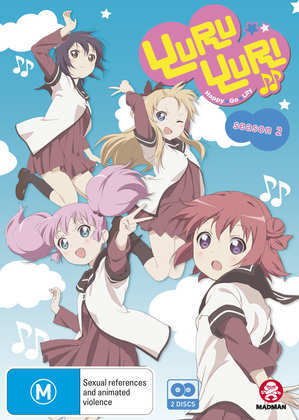 Its slightly ribald tale of girls finding ever more imaginative ways to waste time in high school is perhaps typical of the genre, and it plays well to the expectations of its fanbase, but what Yuru Yuri does in terms of its characters, its comedy, and its imaginative visuals and direction is a cut above the usual slice-of-life comedy. The first season of Higurashi When They Cry may not have been the prettiest looking anime, but its dark, psychological horror story certainly served to shock, and made a statement. Its cyclical tale of mystery and mass murder in an early eighties Japanese village raised more questions than it answered. 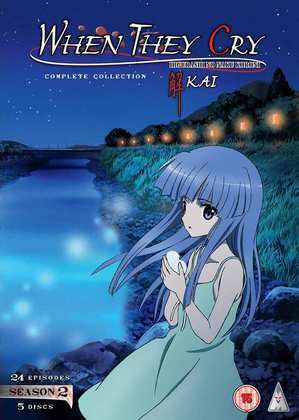 Higurashi When They Cry Kai is the sequel series, but it starts in much the same vein. It takes a little while before it starts answering those questions, but it manages to maintain its edge and unique style all the way through. Serial Experiments Lain. Talking about unique style... This is one of the first anime shows I watched on DVD, and it has really stood the test of time well, unlike some other shows from that era. But in one respect, Serial Experiments Lain has dated. It’s a cyberpunk tech thriller from 1998 with character designs from Yoshitoshi Abe, and which relates the adventure of the titular schoolgirl Lain in the online world. You have to remember what the Internet looked like in 1998, all desktop computers, Geocities, and dial up modems to see that Lain’s world developed in a completely different way to the real world, and some its future tech predictions seem rather quaint. The story is seriously influenced by William Gibson as well. But that is just surface. What underlies Serial Experiments Lain is concepts and philosophy that is just as thought provoking and even relevant today as it was in 1998. MVM released Serial Experiments Lain on four DVD volumes in 2004, but the show got an upgrade to Blu-ray a few years ago. I imported the Australian release from Sony (and then had to wait for replacement discs when they screwed the subtitles up). Here’s my review of that release. Subsequently, MVM released the Blu-ray in the UK and it came out without the subtitle glitch, and is still available today. All the Anime released March Comes in Like A Lion Season 1 Part 2 on Blu-ray Collector’s Edition on November 26th, and that is when MVM released Higurashi When They Cry Kai on DVD. They’ve already released a bumper collection of Higurashi on Blu-ray, and the series will get an individual Blu-ray release in early 2019. Madman Entertainment released Yuru Yuri Season 2 on DVD in Australia in 2017.